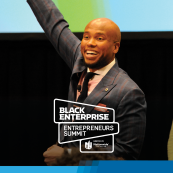 For the next 45 days, BLACK ENTERPRISE will share 45 milestone events among the nation’s largest black-owned businesses that have had a widespread impact on African American economic development as well as American industry for over four decades. 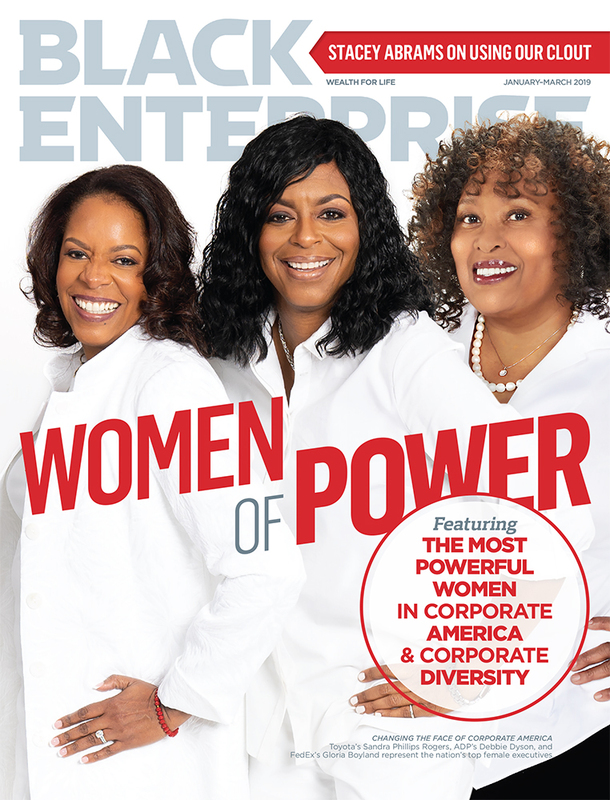 This is in tribute to the 45th anniversary of BLACK ENTERPRISE‘s iconic BE 100s, a yearly list of the largest black-owned companies. Today, we reveal No. 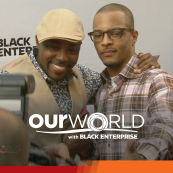 44 from our “Great Moments in Black Business” series. 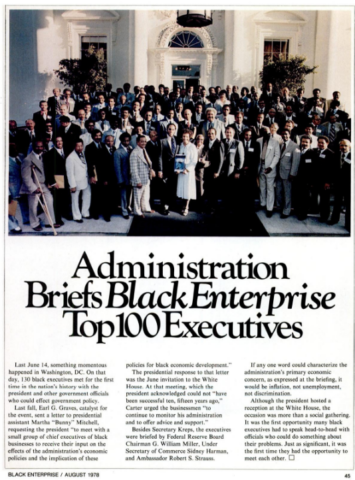 1978: President Jimmy Carter hosts BE 100s CEOs for the first-ever White House Summit on how to use the government to expand opportunities for minority businesses. 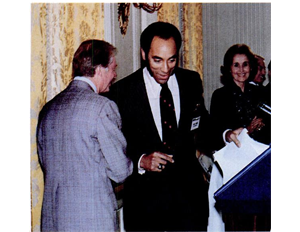 When the 39th President of the United States agreed to convene a black business summit with the BE 100s, it was the first time a sitting Commander-in-Chief opened the doors of the White House to hold a special briefing for African American captains of commerce. It was a powerfully apt statement, given that BE‘s rankings of the nation’s largest black-owned businesses had been in existence for just six years. The response from the Oval Office? 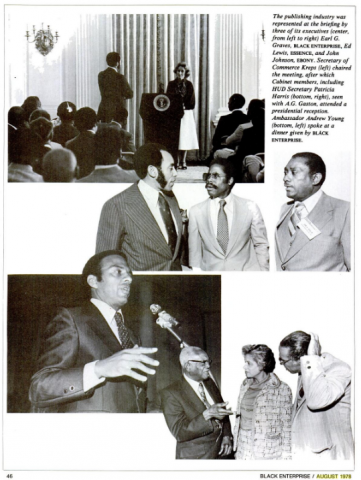 A confab between more than 100 black business titans, including legendary conglomerateur A.G. Gaston and EBONY publisher John H. Johnson, and top officials like Federal Reserve Chairman G. William Miller; Secretary of Commerce Juanita Krebs; then-U.N. 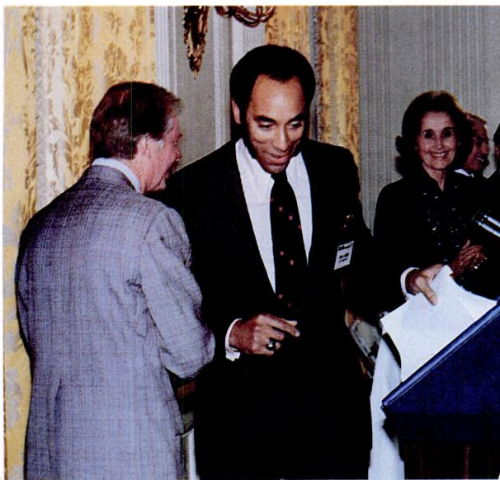 Ambassador Andrew Young; and HUD Secretary Patricia Harris, the first African American woman to hold a cabinet post. 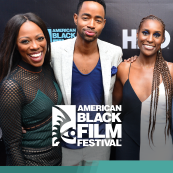 Held roughly 13 years after the passage of the Voting Rights Act of 1965, the summit evoked promise for the post-Civil Rights Movement era and the rise of black political clout in the 1970s. 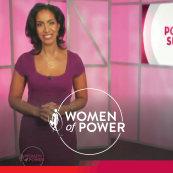 For black entrepreneurs then and now, this moment communicates the importance of understanding the nexus between politics and business, as well as leveraging power and influence to create access and ensure long-term commercial viability. Throughout the past four decades, the BE 100s has expanded and contracted with each boom-and-bust cycle of the U.S. economy. But, another driving factor of advancement or regression has always been the political tenor, whether progressive or conservative; legislative agendas; policy priorities; and bully pulpit rhetoric of the past nine Oval Office occupants, from Nixon to Trump. The BE 100s emerged during the age of black capitalism, ironically initiated by a Republican president who was never known for championing economic equality, Richard Milhous Nixon. In March of 1969, 17 months before the first issue of BE was ever published, Nixon signed Executive Order 11458, which developed the agency that today is known as the Minority Business Development Agency (MBDA), government-sponsored minority small business investment companies (MESBICs) and 8(a) minority set-asides, among other such programs. GOP President Gerald Ford, who replaced Nixon after he was forced to resign following the Watergate scandal, did not embrace the “black capitalism” concept. However, black businesses gained advocacy and actions from then-Secretary William Coleman, the second African American presidential cabinet member. Though a Republican, Coleman was a vociferous champion of affirmative action. 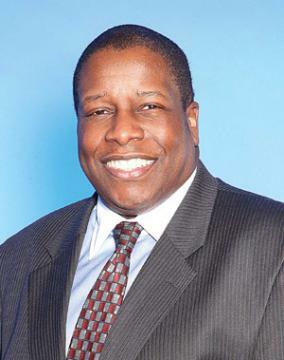 During his tenure, he significantly raised minority business participation within his department, awarding black firms up to $300 million in contracts. In fact, he imposed an affirmative action clause on all private companies that engaged with transportation, and, at one point, even withheld $14 million in grants from Amtrak, until it gave 15% of its business to minority contractors. During this period, government action through affirmative action was vital to the evolution of black businesses. By 1976, two-thirds of BE‘s “Top 100” listing had been launched as a result of the advent of black capitalism. When Jimmy Carter entered the Oval Office after the nation’s bicentennial celebration, black business leaders believed his “zero-based budgeting” mandate spelled doom for existing minority business development initiatives. 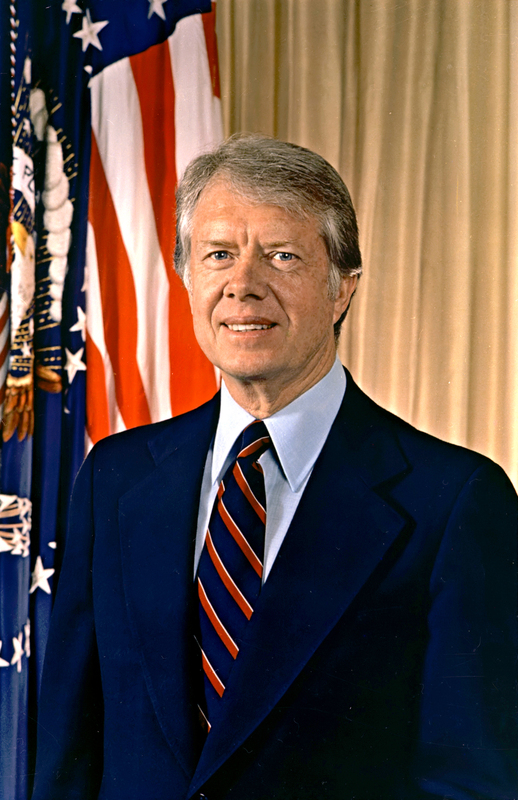 However, Carter’s administration proved to be one of the most progressive in the past 40 years. The amount of federal contracts for minority firms jumped from $1 billion in FY 1977, to $2.7 billion in FY 1979. Moreover, Carter signed the Local Public Works Development Act, which mandated that minority firms receive 10% of all such contracts—roughly $600 million in new business. The administration also upgraded the MESBIC and 8(a) programs. Since African Americans delivered Carter the margin of victory over Ford, they gained the ear of the White House throughout his four-year term. 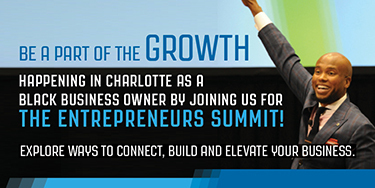 After the 1978 summit, the Task Force on Minority Enterprise— which was comprised of political leaders and BE 100 CEOs like Graves and North Carolina Mutual CEO William J. Kennedy—helped guide its black economic agenda. Considered the second most diverse presidential administration in the 20th century, its diverse appointees also produced lucrative opportunities. HUD’s Patricia Roberts Harris, for example, pushed massive urban renewal programs, greatly benefitting BE 100s’ contractors. Secretary of the Army Clifford Alexander, Jr. directed his procurement officers to give contracts to minority firms. 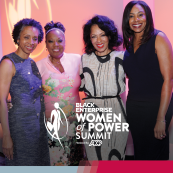 Also, Bunny Mitchell, who coordinated the summit, continued to ensure the BE 100s access to the White House. In fact, her role as liaison—connecting black financial institutions and Treasury and Commerce departments—resulted in $100 million in federal deposits to those firms. 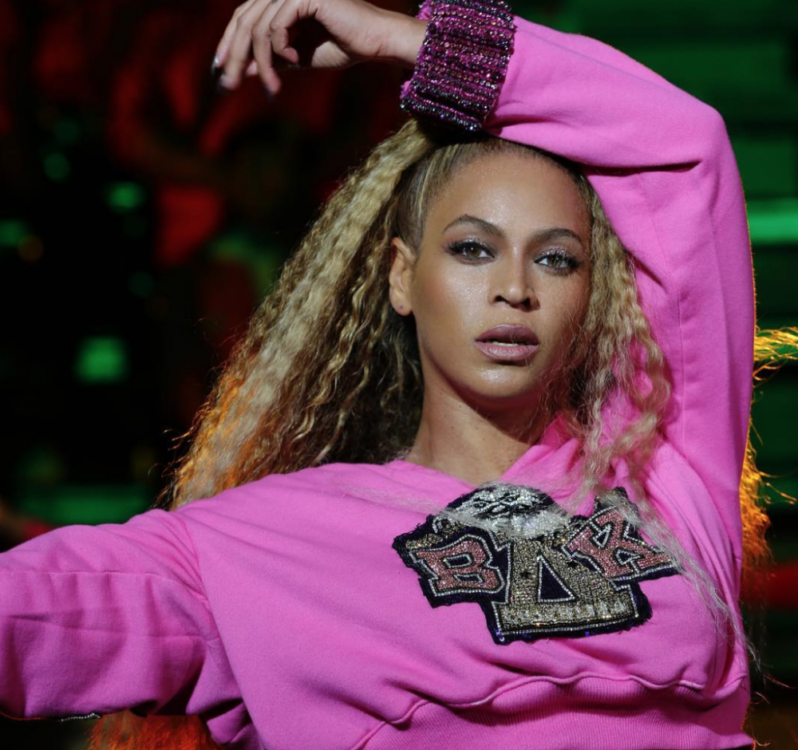 When BE released its 1979 list, the “Top 100” surpassed $1 billion in collective revenues for the first time. Another byproduct of the White House summit: The BE 100s CEOs developed relationships with one another, discovering strength in numbers—a vital strategic element in dealing with presidential administrations to come.